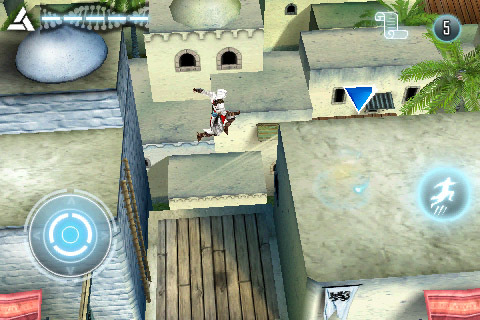 Home> Mobile> Games> iOS iOSAndroid> Adventure ActionAdventureArcadeBoardCardCasinoDiceEducationalFamilyKidsMusicPuzzleRacingRole PlayingSimulationSportsStrategyTriviaWord> Assassinâs Creed AltaÃ¯râs Chronicles Free! 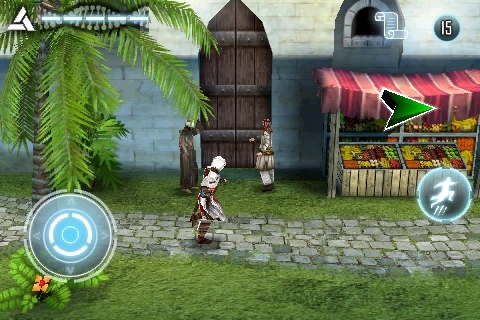 Assassinâs Creed AltaÃ¯râs Chronicles Free! The benchmark of action-adventure games on next-gen consoles lands for the first time on your iPhone and iPod touch. **MacWorld: "One of the most ambitious titles for the iPhone yet. The game takes several hours to complete (think 6-10+) and is therefore one of the most lengthy (and challenging) iPhone games I’ve played." **Pocket Gamer Silver Award: "Honed from an earlier release, this much improved version cuts through control problems with impressive, varied gameplay for a rousing and wholly worthwhile adventure." **IGN: "Assassin's Creed looks fantastic. This is a console game for your iPhone that sacrifices very little." 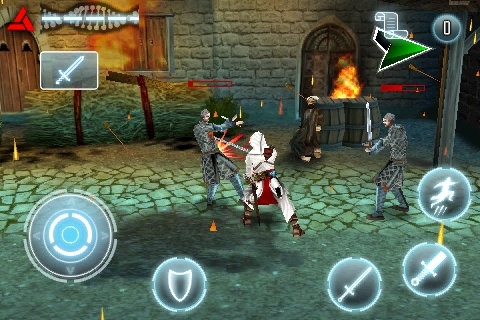 - Master the assassin's skills to benefit from a wide range of acrobatic moves and perform impressive combo attacks, mixing sword skills and kicks. - Explore 28 levels in day or night conditions spanning 5 fully 3D-rendered historical environments: Alep, Damascus, Tyre, Acre and Jerusalem. - 6 weapons for both close combat and long-range attacks: Swords, daggers, grappling hook, crossbow and bombs. - Skill-based mini-games put your patience & dexterity to the test: Perform pickpocket maneuvers to carefully steal precious items from the crowd and make informants speak. - Unique dramatic tension on iPhone, intensified by 3D cinematic cutscenes and characters' voices. Recommended for fans of action, adventure, and historical games.